This is your opportunity. As a Paralegal , you will play an integral role in the Legal department working closely with the Litigation team to provide legal assistance on Property and Casualty (bodily injury) litigation files. This exciting in-house permanent role is based in our downtown office. This role will give you the chance to: Draft application materials and pleadings Manage discovery requests, documents and List of Documents Summarize discovery requests and other documents, including medical records/transcripts Provide litigation support to counsel during trials Ability to review documents, draft and respond to requests, and update counsel as required Experience reviewing documents for privilege and drafting List of Documents Drafting expert retainer materials Your Skills The requirements. A paralegal diploma from a recognized educational institution, or equivalent experience Minimum 4 years’ experience as a litigation specific paralegal, insurance defense experience would be an asset Excellent working knowledge of the Supreme Court of Alberta procedures and forms Superior organizational skills, including the ability to handle multiple case files simultaneously Strong interpersonal skills and the ability to build effective relationships with clients, counsel and court officials Excellent verbal and written communication skills, combined with research and analytical skills Closing Statement The fine print. Background Checks Prior to receiving a job offer, you may be asked to consent to background checks if it’s a requirement for the role. These checks could include: work references, education and credential confirmation, employment verification, identity check, credit report, criminal offence and driver’s license record. Eligibility to work in Canada It’s important that you are legally eligible to work in Canada at the time an offer of employment is made. You may be requested to provide proof of eligibility at that time. We are an Equal Opportunity Employer At Intact, our values guide everything that we do. We celebrate our differences and appreciate our similarities. That’s why we are committed to building an inclusive and inspiring environment for all employees. If you are in need of a specific accommodation during the recruitment process, please let us know and we will be happy to provide. This posting will remain open until a suitable candidate is found. #ItsAboutPeople We’re here to help people, businesses and society proper in good times and be resilient in bad times. We’re focused on what matters to our customers. We listen and connect. We make their problems our problems. We strive to understand what they’re going through. We build products with them in mind and offer solutions that help. And we deliver on our promises. We believe that insurance is not about things, it’s about people. A career in Insurance has never been this exciting. Evolving consumer expectations and technology have helped to shape a new vision for our industry – and we are leading the way. Our Technology teams are reshaping the way we do business and setting new industry benchmarks. Our product teams are developing products that protect people and businesses so they can focus on what matters to them most. Our success story is written by our passion for creating a better tomorrow. We’re re-writing the future of insurance - are you ready to be a part of the story? Your Job This is your opportunity. Are you interested in handling your own diverse insurance defence practice and enjoy a high level of professional independence? Is it a priority for you to work in a collegial work environment with other experienced and talented lawyers? Do you seek strong professional development opportunities including the opportunity to run your own Trials and Court of Appeal matters? Are you looking for a financially strong and stable company? Is it important for you to work for an organization that supports personal well-being and balance? If your answer is “yes”, you would be well suited for a positon at Intact’s Legal Department. As Legal Counsel, Intermediate 12 month opportunity you will work as part of the Claims Litigation team providing legal representation to the claims department on Property and Casualty litigation files. By utilizing your superior litigation and analytical skills, you will work to identify legal issues impacting on claim resolution and be able to develop a creative and proactive approach to file resolution. This role will give you the chance to: Handle insurance defence files of varying complexities independently from beginning to conclusion. Independently prepare and conduct applications/motions, discoveries, mediations, arbitrations, pre-trial conferences and Trials. Draft opinions, pleadings, affidavits and other legal documents to support motion applications, mediation briefs and pre-trial memoranda. Prepare and present educational legal seminars to the claims department. Maintain productive and effective communications with the claims department and adjusters. Your Skills The requirements. Member in good standing of the Law Society of Alberta for at least 3 to 10 years. A minimum of 3 to 10 years of experience in insurance defence litigation. Experience in the following areas is a definite asset: property damage, strata property matters, bodily injury and / or subrogation. Strong ability to handle multi-party actions. Expertise in drafting pleadings, conducting discoveries and preparing for and conducting Trials. Proficient in alternative dispute resolution including independent preparation and conduct of Mediations. Superior organizational skills, including the ability to handle multiple case files simultaneously and independently. Strong interpersonal skills and the ability to build effective client relationships. Excellent verbal and written communication skills, combined with research, negotiation and analytical skills. Closing Statement The fine print. Background Checks Prior to receiving a job offer, you may be asked to consent to background checks if it’s a requirement for the role. These checks could include: work references, education and credential confirmation, employment verification, identity check, credit report, criminal offenceand driver’s license record. Eligibility to work in Canada It’s important that you are eligible to work in Canada at the time an offer of employment is made. For permanent roles, proof of eligibility can be a Canadian birth certificate, Canadian passport, Canadian citizenship certificate, permanent residence card or confirmation. We are an Equal Opportunity Employer At Intact, our values guide everything that we do. We celebrate our differences and appreciate our similarities. That’s why we are committed to building an inclusive and inspiring environment for all employees. If you are in need of a specific accommodation during the recruitment process, please let us know and we will be happy to provide. This posting will remain open until a suitable candidate is found. This is your opportunity. Are you interested in handling your own diverse insurance defence practice and enjoy a high level of professional independence? Is it a priority for you to work in a collegial work environment with other experienced and talented lawyers? Do you seek strong professional development opportunities including the opportunity to run your own Trials and Court of Appeal matters? Are you looking for a financially strong and stable company? Is it important for you to work for an organization that supports personal well-being and balance? If your answer is “yes”, you would be well suited for a positon at Intact’s Legal Department. As Legal Counsel , Junior or Intermediate you will work as part of the Claims Litigation team providing legal representation to the claims department on Property and Casualty litigation files. By utilizing your superior litigation and analytical skills, you will work to identify legal issues impacting on claim resolution and be able to develop a creative and proactive approach to file resolution. This role will give you the chance to: Handle insurance defence files of varying complexities independently from beginning to conclusion. Independently prepare and conduct applications/motions, discoveries, mediations, arbitrations, pre-trial conferences and Trials. Draft opinions, pleadings, affidavits and other legal documents to support motion applications, mediation briefs and pre-trial memoranda. Prepare and present educational legal seminars to the claims department. Maintain productive and effective communications with the claims department and adjusters. Your Skills The requirements. Member in good standing of the Law Society of Alberta for at least 3 to 10 years. A minimum of 3 to 10 years of experience in insurance defence litigation. Experience in the following areas is a definite asset: property damage, strata property matters, bodily injury and / or subrogation. Strong ability to handle multi-party actions. Expertise in drafting pleadings, conducting discoveries and preparing for and conducting Trials. Proficient in alternative dispute resolution including independent preparation and conduct of Mediations. Superior organizational skills, including the ability to handle multiple case files simultaneously and independently. Strong interpersonal skills and the ability to build effective client relationships. Excellent verbal and written communication skills, combined with research, negotiation and analytical skills. Closing Statement The fine print. Background Checks Prior to receiving a job offer, you may be asked to consent to background checks if it’s a requirement for the role. These checks could include: work references, education and credential confirmation, employment verification, identity check, credit report, criminal offence and driver’s license record. Eligibility to work in Canada It’s important that you are legally eligible to work in Canada at the time an offer of employment is made. You may be requested to provide proof of eligibility at that time. We are an Equal Opportunity Employer At Intact, our values guide everything that we do. We celebrate our differences and appreciate our similarities. That’s why we are committed to building an inclusive and inspiring environment for all employees. If you are in need of a specific accommodation during the recruitment process, please let us know and we will be happy to provide. This posting will remain open until a suitable candidate is found. Our client is a western and northern regional firm, recently voted as a Top 10 firm in Canada with offices in Calgary, Edmonton, Yellowknife and Northwest Territories. Our client is structured like many law firms, organized into practice groups based on recognized legal disciplines. In order to best service their clients they also build teams and practice groups to address specific needs, they recognize that the best legal services require an equal measure of business and legal sense. Our client is now looking to add a senior level corporate commercial associate to their esteemed group of professionals. Qualifications and Attributes: 4-8 years of corporate commercial experience from a recognized Canadian law firm Proven track record of success Must be client service orientated Exceptional work ethic Confident Team player Entrepreneurial Qualified to practice law in Canada Our client is offering the following: Competitive base salary Lucrative bonus structure Full benefits including an additional health and wellness incentives Career stability Extensive mentoring Reasonable hourly target (1500 hours) Opportunity for partnership We guarantee confidentiality and discretion. 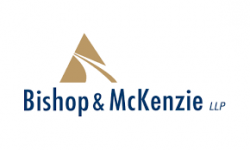 Legal Assistant to assist Commercial Paralegals Bishop & McKenzie LLP is currently accepting applications for an assistant to assist Commercial Paralegals working in the areas of Banking, Commercial Lending, Business Transactions, and Corporate Law. We are looking for a full time, enthusiastic, motivated person to work in a busy department. The successful candidate should have strong Microsoft Word skills, exceptional organizational skills, and handle a wide variety of legal and administrative duties within the legal sphere. This includes the preparation of legal documents and correspondence, responding to inquiries and have a broad and thorough knowledge of concepts and principles is essential to this role. Salary is negotiable depending on the caliber of the successful candidate. Key Functions: Capable of handling busy practice with tight timelines Processing various searches and legal documentation Drafting and preparing of account Ability to work independently and as a team Critical thinking Problem solving Responsibility: Responsible for opening and preparing new files for the lawyer and paralegals within the commercial lending department. Perform a variety of corporate related searches for new files Assist with general practice office management, including filing, and scheduling meetings Maintain diarize for appointment and payment of accounts Check ProLaw software; Post time sheets, prepare letters, and accounts Check diarize for follow up on payments Pull files and check off documents Remove diarize dates Close commercial lending files Help in the preparation of documents and letters on commercial lending files Step in when paralegal is away Help the paralegals with rush tasks Email/fax documents to clients, accountants or lawyers Requirements: College degree required, Paralegal/Legal Assistant certification 1-2 years of direct work experience in a legal environment (preferably in commercial lending) legal assistant capacity Strong knowledge of basic legal concepts, principles, and terminology Thorough understanding of statutes, court decisions, ordinances, resolutions and legal documentation Good research skills on the Internet and traditional sources of information Meticulous records maintenance skills To thrive in this challenging role you will embrace variety and have excellent communication, problem solving and interpersonal skills. 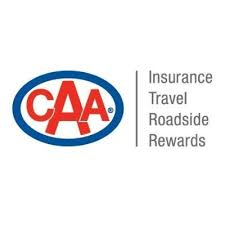 We offer a full benefit package, holiday entitlement in the first year, and an employer contributed RRSP. We would like to thank all applicants: however only those candidates selected for an interview will be contacted. Please send your resume to the attention of Stephanie. 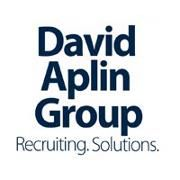 David Aplin Group, one of Canada's Best Managed Companies, has partnered with our client to recruit a Litigation Paralegal based in Edmonton , AB . Our client invites you to review the job description and if it sets out that perfect opportunity for you, we look forward to hearing from you. The successful candidate will thrive in an innovative, team-oriented environment. They must be dedicated to providing quality service to clients and have an enthusiastic and positive demeanor. Duties & Responsibilities: Compile and manage litigation documents File preparation and management: including preparation of pleadings, affidavits of record, undertakings, expert documents and trial binders Meetings as required Ability to communicate with and engage expert witnesses Conduct searches, carry out investigations and research through internet and other means Obtain and index cases from QuickLaw and other sources Liaise with legal assistants, paralegals and other lawyers as required Liaise with clients on file progress as required Other duties as required Knowledge, Qualities & Experience Required: Minimum of three years’ experience working in a Senior Legal Administrative Assistant or Paralegal role Advanced PC skills, proficient with MS Office Suite (Word, Excel, etc.) Personal Injury and Eclipse experience is beneficial, although not required Extensive knowledge of various litigation legal precedents and procedures is required Able to remain productive within a time-sensitive and fast-paced environment Understand instructions and prepare required documentation Ability to work well independently as well as with a team Excellent communication (verbal and written) and interpersonal skills are essential If you are interested in this position and meet the above criteria, please click the Apply button to send your resume in confidence directly to Suzanne Gosse , Recruiter, Legal Professionals. Visit our website at www.aplin.com to view our job opportunities, career tips and tools. We thank all applicants; however, only those selected for an interview will be contacted. WE APPRECIATE YOUR INTEREST IN DAVID APLIN GROUP. If this is your first introduction to us, we invite you to become one of our satisfied candidates. David Aplin Group has been Canadian owned since 1975. Our professional consultants are passionate about helping you find a fulfilling job or career and ensuring your complete satisfaction with our process. Our proven track record, nearly four decades long, is largely due to our team of highly skilled and successful specialists. Through superior service and a commitment to long-term relationships, we provide deep specialization in core areas for complete recruiting and HR solutions across Canada - all from one source. We look forward to exceeding your expectations! Learn more about David Aplin Group and view all of our current job opportunities, career tips, and tools at www.aplin.com. Legal Counsel United Food and Commercial Workers Canada, Local 401 UFCW Local 401 is the largest private sector union in Alberta, with approximately 30,000 members working throughout the province. We are looking for a full-time labour lawyer in our Edmonton office. We require an energetic, outgoing, and career-oriented individual with strong advocacy and litigation skills. The successful candidate must have a robust commitment to the principles of trade unionism and social justice. Duties include providing oral and written legal advice, preparation and presentation before arbitration boards, the Alberta Labour Relations Board, other administrative tribunals, and the courts. Responsibilities will also include the preparation and delivery of training programs for staff and the preparation of communication materials for the union’s newsletter, website and other publications. Qualifications Include: Membership in the Law Society of Alberta, or eligibility for such Strong oral and written advocacy skills A minimum of two years of experience Ability to work under pressure and tight deadlines Valid driver’s licence Compensation We offer a competitive starting salary and a comprehensive benefits package, including a defined-benefit pension and a vehicle. Please submit applications by November 15, 2018 , to Doug O’Halloran, President, at dohalloran [at] ufcw401.ab.ca Only those applicants selected for an interview will be contacted. All applications will be treated as strictly confidential. Paralegal Economical Insurance is currently seeking an experienced litigation paralegal to join the Edmonton in-house legal team. WHY ECONOMICAL? Because a changing industry calls for a new way of doing things. An ambitious, innovative and fast-paced company, we offer exceptional training and development programs, competitive pay, great benefits, a company-matched savings plan, and paid volunteer days — all within an engaging, fun, and collaborative work environment. Founded more than 145 years ago, Economical is one of Canada’s leading property and casualty insurance companies. We rely on our national network of more than 800 independent brokers to sell a range of car, home, business, and farm insurance solutions. With Sonnet and Petline, we’re extending our reach through the direct-to-customer channel. With more than 2,400 active employees across the country and a commitment to rethinking the insurance experience, we’re poised for great things. We’re now adding to our high-performance team to take us into the future. Let’s rethink insurance, together. In this role, you will: The paralegal is responsible for supporting 2 to 3 lawyers, primarily through managing document productions and preparing summaries, applications, affidavits of records and other legal documents. The role will also assist in file management and act in a back-up capacity to the legal assistant. Your Responsibilities Initiate the organization and management of files, including: requesting, indexing and organizing document productions; Review files, identify issues and prepare charts, chronologies and summaries of documentary evidence including medical records for use in discovery, mediation, pre-trial and trial; Draft court documents such as applications, affidavits of records, etc; Identifying, requesting and monitoring lists of required productions and information from all parties, including assembling and organizing answers to undertakings and tracking answers and refusals; Compilation of books of authorities; Provide litigation support prior to and during trials and hearings, including organizing attendance of witnesses; Interviewing witnesses and preparing statements; Assist counsel in preparing for Questioning for discovery and Trials, including obtaining relevant information/documentation, conducting appropriate searches for relevant information, and coordinating with support staff and resources as instructed. Providing back-up assistant coverage for lawyers Your Skills and Experience Minimum 2 years’ experience as a paralegal or equivalent for a litigation department / legal team practicing civil litigation in Alberta (ideally insurance litigation) Knowledge of Alberta court rules, practice directions and procedures Demonstrated proficiency with all MS Office applications High degree of personal ethics, integrity and responsibility with an ability to deal with privileged and confidential information Ability to work in a paperless environment Great attention to detail Ability to perform under pressure, meet deadlines and handle multiple, yet sometimes conflicting priorities Team player, with excellent interpersonal skills At Economical, we all work together to come up with big ideas — then bring them to life. We focus on our customers first, we bring our best, and we’re stronger together. If you’ve got the passion and the desire to help us reinvent insurance, let’s talk. HOW TO APPLY To complete the online application process, you’ll need to upload your resume before you apply for the role you’re interested in. Please note that only one document can be uploaded, so be sure to combine your resume and cover letter. We are committed to providing an inclusive work environment that welcomes diversity and supports accessibility across the organization. If you require accommodation at any time during the recruitment process, please let us know by contacting: hrsharedservices@economical.com. Visit economical.com to learn more about us and what we’re up to. Economical Insurance includes the following companies: Economical Mutual Insurance Company, Family Insurance Solutions Inc., Sonnet Insurance Company, Petline Insurance Company. Assurance Economical comprend les compagnies suivantes : Economical, Compagnie Mutuelle d’Assurance; Family Insurance Solutions Inc.; Compagnie d’assurance Sonnet et Compagnie d’assurance Petline. Clean water and reliable energy are at the heart of what we do. We proudly keep the lights on and the water flowing in over 100 communities across North America. With a rich 125-year history, EPCOR has ambitions to be one of North America's premier providers of essential services, and we have the top employer and sustainability awards to prove it. If you're looking for new opportunities, people who care and work that matters, apply today to find a career where you matter more. Check out epcor.com/careers to find out more. Brief Description EPCOR is looking for a full time, permanent Senior Legal Counsel to join our Legal Services team! The Senior Legal Counsel role provides an opportunity to work in a highly professional and dynamic culture where you can expect challenging and interesting work in an in-house legal environment. Detailed Description Reporting to the Associate General Counsel, the Senior Legal Counsel, is accountable for: Acting as lead counsel on and providing legal advice and performing legal work in the areas of:capital and business development projects, including infrastructure/construction projects, public-private partnerships, mergers and acquisitions and related partnering arrangements, as well as other corporate-commercial matters, including corporate structuring and negotiating and drafting various commercial goods and services contracts. Informing and advising corporate and business unit leadership groups on developments in infrastructure and construction, commercial law and the potential impacts of legislative changes and/or court decisions. Overseeing and directing one or more Legal Counsel in the performance of legal work in the areas of project development, mergers and acquisitions and general corporate-commercial law, including procurement, Contributing to reports prepared by or for the Associate General Counsel or General Counsel on matters relating to projects and commercial matters. Providing input to Associate General Counsel’s plans and directions. 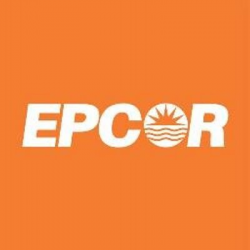 Ensuring effective and appropriate relationships between Senior Legal Counsel and other positions in the Legal Services’ area and within the rest of EPCOR. Developing, implementing and reviewing business plans within the context of Legal Service’s business plan. Providing timely, proactive and solution-oriented legal advice to all business units. Ensuring external legal support is appropriately retained and managed by identifying necessary budget requirements for the provision of external legal services and appropriately managing external legal expenses. Developing and implementing checklists, protocols and template agreements for various commercial work. Developing, implementing and reviewing Legal Service’s processes to ensure compliance with EPCOR policies and standards, while ensuring mitigation of risks. Carrying out legal research as required. Demonstrating a high performance, highly disciplined, independent, achievement-oriented, “easy-to-do” business with manner of working. Job Requirements The successful candidate will possess the following qualifications: An LLB, JD or equivalent from a recognized university. 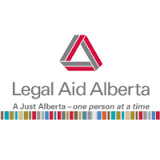 A member in good standing with the Law Society of Alberta.Minimum of ten years of applicable, recent continuous legal experience post call to the Alberta Bar. Experience in infrastructure, construction, P3 law and one or more of corporate governance, securities, financing and credit agreements. Demonstrated experience providing counsel to executive/management level. Demonstrated experience leading lawyers/legal professionals. Strong verbal and written communication skills and an established record of providing proactive, business friendly advice with a focus on adding value. Excellent interpersonal skills that allow you to act as an influencer as well as a relationship builder while developing working relationships with the groups that you support Additional Details Jurisdiction: PROF Hours of work: 8 hours per day, 40 hours per week Commencing with your first day of employment as a permanent EPCOR employee you will enjoy a variety of benefits, such as: Competitive salary Annual incentive (bonus) pay program Paid vacation Flexible benefits plan Five paid personal days off each year One Friday off per month Access to internal and external career development programs Financial support for personal development EPCOR Savings Plan with company matched contributions Pension Plan Financial support for employee wellness Career opportunities in a wide variety of disciplines and operational areas Financial support for charitable organizations that employees contribute to Please note the following information: A requirement of working for EPCOR is that you are at least 18 years of age and legally entitled to work in Canada. (A copy of a valid work permit may be required.) If you are considered for the position, clearance on all applicable background checks (which may include criminal, identity, educational, and/or credit) and professional reference checks is required. Some EPCOR positions require an enhanced level of background assessment, which is dictated by law. These positions require advanced criminal record checks that must also be conducted from time to time after commencement of employment. A technical/practical assessment may be administered during the selection process and this exercise will be used as a part of the selection criterion. To meet the physical demands required of some positions, candidates must be in good physical condition and willing to work in all weather conditions. Clearance on pre-placement medical and drug and alcohol testing may be required. ABOUT YOU For you, there’s no such thing as too much information. The more you have, the more you get to roll up your sleeves and dig into the details – and you won’t stop digging until you have the information you need to answer a question, resolve an issue or clarify a ruling. Reporting to the Director, Legal Services, you’ll be responsible for providing legal advice and services in relation to AMA’s legal matters, issues and liabilities. WHAT MOVES YOU If you weren’t the captain of your debate team, you could have been. You're very adept at creating persuasive arguments in both mediation and judicial settings (you’ve also got some pretty mad negotiating skills!) You love coming up with innovative legal strategies that lead to exceptional results You put a lot of thought into the recommendations you make and how they’ll affect not only the file but the business as well While you work well on your own, you love being part of a team and knowing that you’re making a contribution Technically, your world is the law – but you’re always open to hearing all sides of an issue before you make a decision WHAT YOU'LL DO Provide legal service for the Insurance Company’s legal needs, primarily insurance defence litigation Identify and work within department cost-effective, result-oriented strategies and processes Conduct litigation files through pleadings, questionings, applications, pre-trial conferences, mediations, JDRs, trials and appeals WHAT YOU'VE DONE You have a university law degree from a recognized Canadian Law School, and five to ten years of Litigation Experience either in-house or with a firm You’re a member in good standing of the Alberta Law Society You have solid technical grounding in legal research demonstrating an attention to detail combined with superior evaluative and analytical abilities Your legal writing skills are top-notch We thank all applicants for their interest, however, only those selected for an interview will be contacted. The Youth Criminal Defence Office provides legal services to young persons between the ages of 12-17 charged with criminal offences. The Youth Criminal Defence Office located in Edmonton is currently looking for a full-time, permanent Lawyer. Job Description The Lawyer provides youth criminal defence legal services to clients covered by a Legal Aid Certificate, as assigned by Senior Counsel. The position will involve acting for clients on criminal charges, including conducting trials, speaking to sentence and possibly appellate work. In addition the Lawyer will be assigned duty counsel and on call shifts. Qualifications The successful candidate will possess a law degree from a recognized law school and be a member of the Law Society of Alberta. Knowledge of the rules of criminal evidence, criminal procedure, defence of criminal charges, as well as litigation experience is required. Must have 1-5 years of experience in criminal law. Salary will be commensurate with experience. Only those applicants selected for an interview will be contacted. Brownlee LLP is a mid-sized, regional law firm with offices in Calgary and Edmonton that provide exceptional legal services throughout Alberta and the Yukon, Nunavut and Northwest Territories. We offer competitive salaries, benefits, a matching RSP plan and have the reputation of a great place to work! We are currently seeking an E-Discovery Specialist to join our Edmonton office. Please review the following and if this sets out that perfect opportunity for you, we looking forward to hearing from you. Key Responsibilities : Provides user support for e-discovery imaging & document database related issues in accordance with best practices. Assists in developing, preparing and maintaining standards and best practices for using the firm’s e-discovery solutions and processes. Assists in assessing and determining legal team requirements and instructions for the successful implementation of e-discovery solutions in specific matters. Assists in organizing and managing the input and quality control of data into databases by internal resources and by third party vendors. The data will include databases, scanned images, electronic documents, transcripts of proceedings and other evidence. Assists in tracking the status of projects – including those sent to external vendors – and provides regular project status reports to the legal teams to ensure that projects are completed within the approved budget and on time. Supports external access to the firm’s e-discovery systems by approved outside users, such as lawyers working away from the office, clients, witnesses and co-counsel. Assists in educating and supporting the litigation team in the best practice use of the firm’s e-discovery solutions and processes, and assists the legal team in identifying cost and efficiency benefits in using litigation technology. Provides occasional end user training. Provides first-tier user support and direction for all local users of the firm’s e-discovery software. Supports end users by customizing e-discovery software, including fields and forms to accommodate data entry or review. Key Competencies : Good understanding of legal concepts and procedures. Experience with litigation support software and a good understanding of the practical requirements of e-discovery. Strong computer skills, and an enthusiasm for e-discovery software and electronic discovery. Strong decision making and project management skills. Strong attention to detail and the ability to work under pressure and meet deadlines. Excellent interpersonal skills and the ability to interact confidently with lawyers, clients and outside vendors. Strong organization and multi-tasking skills. Strong oral and written communication skills. Strong strategic and analytical thinking skills. Strong teamwork skills. Education/Experience Required: An undergraduate degree from an accredited university or a college degree in paralegal studies. Six or more years as a litigation paralegal, working on complex litigation matters. To apply for this position, please submit your cover letter and resume via e-mail or fax 780-424-3254. We thank all candidates for their interest however only those selected for an interview will be contacted. Thank you. Hillenbrand Kozicki LLP seeks a full time lawyer to join our growing team. We are a progressive, energetic, successful, client focused firm committed to exceeding the expectations of our clients. We believe that everyone that walks through our doors should leave with a positive impression and we strive to forge meaningful relationships with our clients. Our practice is focused on commercial and residential real estate and all aspects of corporate and commercial transactions. In addition our lawyers handle all manner of commercial litigation, wills and estates and insurance defense. We currently have 5 lawyers and 10 exceptional and highly trained staff that support our practice. We recognize that law is a business and we have implemented practices and policies, and have invested in the necessary tools, to ensure that the business operates as smoothly as possible with a high level of profitability. We seek an intelligent, energetic, personable, self-motivated, client focused, individual that strives to bring practical solutions to their clients. Candidates with some existing client base and a minimum of 5 years experience in one or more of our core practice arears will be preferred. We offer an opportunity to work in a dynamic and supportive environment with excellent mentorship and lots of interesting work. We seek to offer fulfillment within the office as well encouraging a “life” outside it. The compensation package is competitive, includes benefits, and the opportunity for the right candidate to share in the long term growth of the firm. Job Title – Lawyer / Legal Researcher Company Profile: Join one of the fastest growing companies in Canada and a four-time PROFIT 500 ranked organization (2017, 2016, 2015, 2014). LawDepot is the most advanced publisher of web based do-it-yourself legal documents. Using a unique step by step method, LawDepot simplifies the process of creating a customized legal document. LawDepot products cover all facets of the legal industry including: Estate Planning, Family Law, Real Estate, Business and Human Resources. Over four million satisfied customers have trusted LawDepot to solve their legal needs. LawDepot attracts over two million monthly visitors and is the 5,000th largest website in North America. Position Overview: LawDepot.com is currently expanding and looking to recruit a Lawyer / Legal Researcher in Edmonton, Alberta. Working within the Legal team, you will be responsible for developing online legal contract templates and website content. This is a full time permanent position, working 37.5 hours per week. Great work / life balance is provided. Primary Responsibilities: Draft, review and revise online legal document templates Regularly conduct research and ensure documents are legally sound Make changes to legal templates using an internal content management system Develop helpful articles and FAQ material to assist with a general audience completing our forms Conduct analysis to identify opportunities and implement product enhancements Coordinate projects with other departments (ex. Marketing, Development) Knowledge and Skill Requirements: Post-secondary education in the field of Law (articling experience is not mandatory) Solid background in drafting form agreements Good computer knowledge and the ability to use document editing tools Excellent legal research skills Great “non-legal” writing skills and the ability to communicate legal information to a general audience Direct client interaction is not required with this position Why you should join the LawDepot team: Excellent total compensation package Comprehensive health and dental benefits, plus an additional Health Care Spending Account Flexible work hours Paid vacation plus bonus personal days Access to continuous learning opportunities, including a subscription to LinkedIn Learning Company share plan Free weekly catered lunch for the entire office Casual work environment How to apply: Please send a resume and cover letter by email to career@lawdepot.ca or submit online via our Careers page at https://www.lawdepot.com/career We thank all applicants; however, only those selected for an interview will be contacted.